In Armenia, more than 100 people are waiting for a corneal transplant. Most are blind or nearly blind because they don’t have the money — $800 — for surgery. By American standards, $800 is a small sum to regain your sight, but accessibility and affordability of eye care in Armenia is extremely limited and disproportionately affects the poor and those in remote regions. 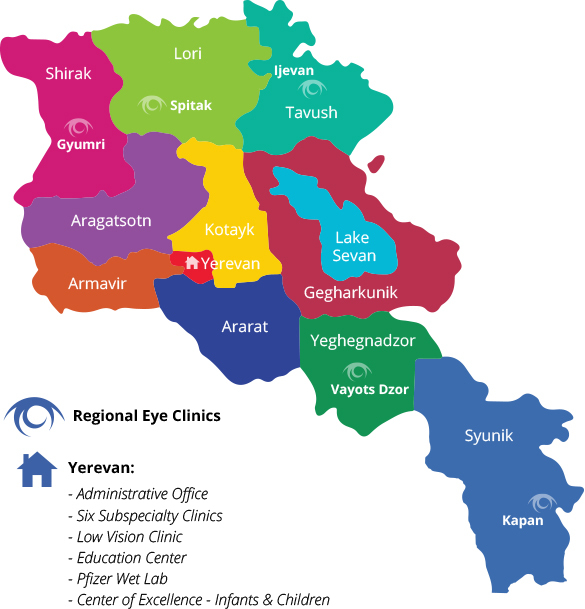 Just four towns outside of Yerevan provide secondary eye care; advanced care and most surgeries are available only in the capital. There are a little over 300 ophthalmologists in Armenia, yet just one-third practice in the regions. As well, only a fraction is surgically trained and none perform corneal transplants, meaning patients must travel to Yerevan. Of the 100 Armenians waiting to have their sight restored through corneal transplants, only about 30 are eligible for government assistance when a cornea becomes available. Those not designated as “poor” by the government receive no care, despite not having the money for surgery or travel to Yerevan. Additionally, the AECP is not permitted to provide surgeries for those who do not fall within the government’s poverty guidelines, leaving a large number of Armenians with no access to corneal transplants or other surgeries. Yet, while the ability to help these Armenians is there, patients need donors to help sponsor their surgeries. Restoring these people’s sight not only changes their own lives, but also the lives of their families, as they become productive, independent citizens and start contributing to their communities. The EyeCare Project is looking for individuals who would like to give the “Gift of Sight” and sponsor a patient for $800 for a cornea transplant. Two anonymous donors have already underwritten surgeries for two young women in Armenia — Lilit and Ani — and changed their lives! There can be no greater gift.